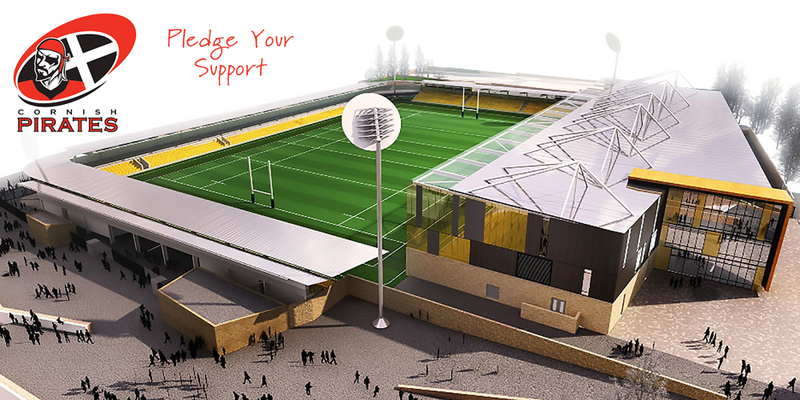 The Stadium for Cornwall will be a stunning new home for Truro City FC, the Cornish Pirates, Truro & Penwith College – and all of Cornwall. Creating new jobs and opportunities for sport, business and entertainment. This is a bold vision: modern sporting and conference facilities for two ambitious teams, and the college where students get to train in cutting edge catering and hospitality, capable of hosting thousands. Join our Thunderclap campaign! The time is now. The moment is now. Together, we are a new Stadium for Cornwall.